What are status symbols in Silicon Valley? You must own one of these. 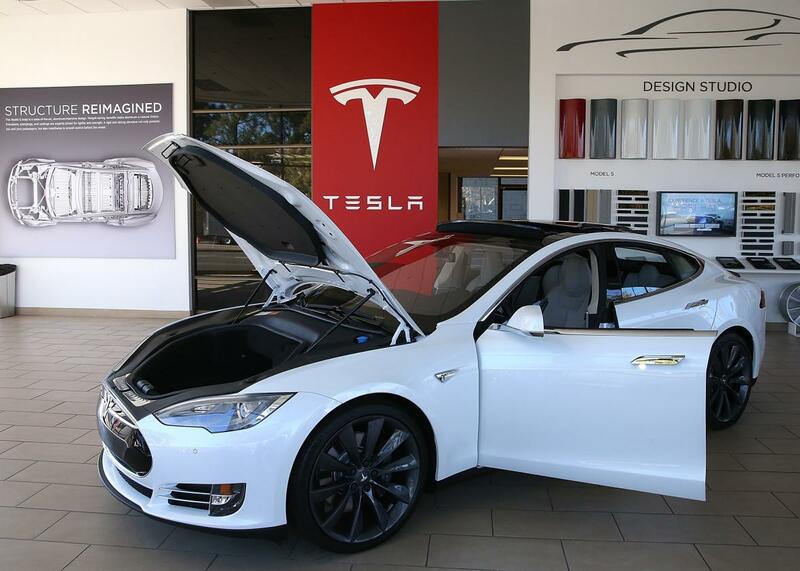 Above, a Tesla Model S in 2013 in Palo Alto, California. Silicon Valley is a strange place. I’ve lived here all my life and saw the rise of the tech industry. Now, every status symbol seems to revolve around tech in some way—you own it, work in it, or know people who are players in it. Outward displays of wealth are pretty frowned upon, in my opinion—more so than other places. No bling here. Tesla is the coolest car by far, not a Maybach or a Ferrari. Having a cool address is a status symbol, like certain neighborhoods in San Francisco or whatnot, but no one really cares about how big or fancy the house is. Especially if you have kids—people are obsessed with school districts around here. And while ostentatious houses, cars, and clothes are not displayed, everyone is looking for the big startup score. If you’re an angel investor, founder, or early member of a Unicorn (or Unicorns). Higher valuation and exit equals higher status symbol. Bonus points if your mom has heard of the company. Extra bonus points if your mom uses the product. If you’re on the board of Apple, Facebook, Google, Uber, Dropbox, Airbnb, etc. Bonus points if founder. You’re a member of the Giving Pledge or founder of philanthropic organization such as Good Ventures or Chan Zuckerberg Initiative. Bonus points if you have a hospital wing or building at Stanford named after you. You have tickets for space tourism with companies such as Virgin Galactic and XCOR Aerospace. Bonus points if you are the founder of SpaceX. You get invites to dinners with Obama and Steve Jobs. Bonus points for sitting directly next to POTUS. You’re on a first-name basis with members of said dinner. Bonus points if they regularly interact with you on Facebook, Twitter, etc. You own a house in the “right” area of Palo Alto, Atherton, Hillsborough, or Los Altos Hills. Bonus points for a large lot with horse stables, a pool with guesthouse, a Zen garden, and a yoga studio. You’re the owner of prime office space on Sand Hill Road, downtown Palo Alto, or hot areas in San Francisco. Bonus points if office has solar panels, free parking, and attractive rooftops. You have a private jet or a membership on Kona Shuttle. Bonus points if you can fly the jet. You were a finalist or winner of short- and long-term competitive programming competitions. Bonus points if you dropped out of college. You have children at the top of their class in STEM studies at top schools. Bonus points if they speak Mandarin. Bonus points for also being a Quora top writer. Behavioral Psychology: What is the psychology behind FOMO? Leadership: What are the best leadership lessons to learn from Game of Thrones?? Silicon Valley: Where will the next Silicon Valley be?